Like parcel and air freight carriers, LTLs are looking less at what you’re shipping and more at how big it is. Space is the name of the game, and carriers are doing everything they can to make sure they’re getting paid for the amount that’s being used on their trailers. This includes employing automated dimensioning technologies, which according to some carriers, are enabling them to verify DIM-weight on between 40% and 60% of the shipments they carry – much more than was possible in years past. As you can imagine, all this measuring has allowed carriers to identify and recover revenue on more miss-classed freight – unfortunately at the expense of shippers. Thankfully, there are a few simple steps shippers can take to avoid these re-class fees and/or refute these charges when they do pop up. 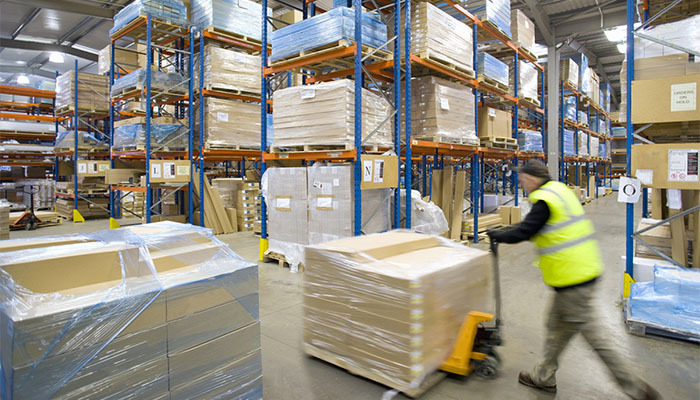 Although dimensioners are helping carriers identify a lot more miss-classed freight, due to time constraints and tight shipping windows, they’re still not able to check all the shipments that hit their docks. This means they’re still using traditional inspection techniques to spot check shipments that display certain red flags – red flags like oversized and irregular-shaped freight, shipments with protruding edges, and shipments that seem grossly under-weighed or miss-measured. We suggest taking a close look at the kinds of freight you ship. If any of your shipments fit the above descriptions, pay special attention to the measurements and weight you collect on those goods. While thinking like a carrier is a good place to start, measuring and weighing everything is where you ultimately want to end up. If you’re only shipping a handful of pallets each day, this should be easy. Just hang a tape measure near your floor scale so your staff can quickly measure pallets while they’re being weighed – and don’t forget to take a photo or two of your shipments to document their condition. Alternatively, high-volume shippers may want to invest in automated dimensioning equipment of their own to keep up with demand. A pallet dimensioner like our FS 5000 measures freight in just a few seconds, enabling busy warehouses and distribution centers to fully process (measure, weigh and photograph) between 6 and 10 pallets per minute. When you no longer have to worry over re-class fees, freight audits and the administrative costs needed to service them, these units can pay for themselves within just a few months. Even if you implement the suggestions above, you’re still likely receive the occasional freight re-classification. The best thing to do when this happens is to contest the claim quickly and provide proper documentation. Contesting quickly reduces the odds of things getting lost in the shuffle on your end and usually results in quicker resolution of the bill. As for proper documentation, be sure to provide the carrier with your original purchase order or invoice, photos of your shipment, a record of the dimensions and weight, and a certificate showing that your scale has been calibrated within the last 6 months. Again, an automated dimensioner like our FS 5000 makes this process easier by allowing you to quickly generate and share freight reports containing all the above information related to any shipment.